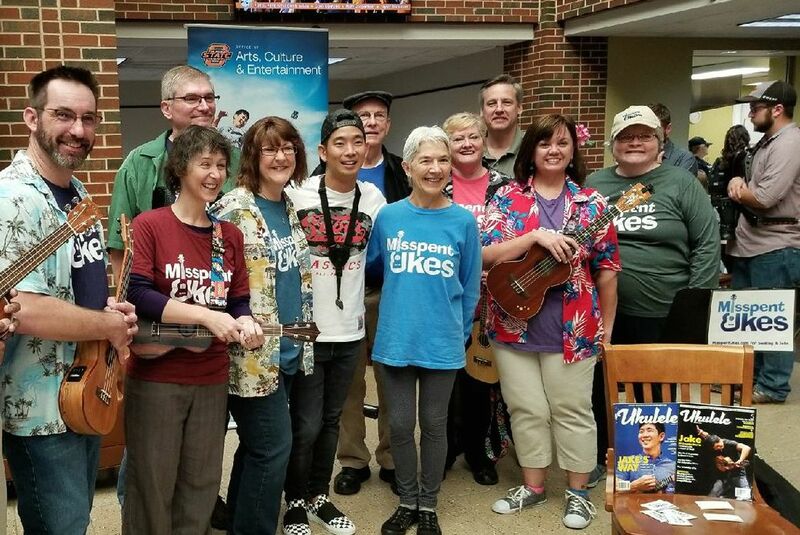 The Stillwater Ukulele Association is a group of ukulele players who enjoy playing music together. 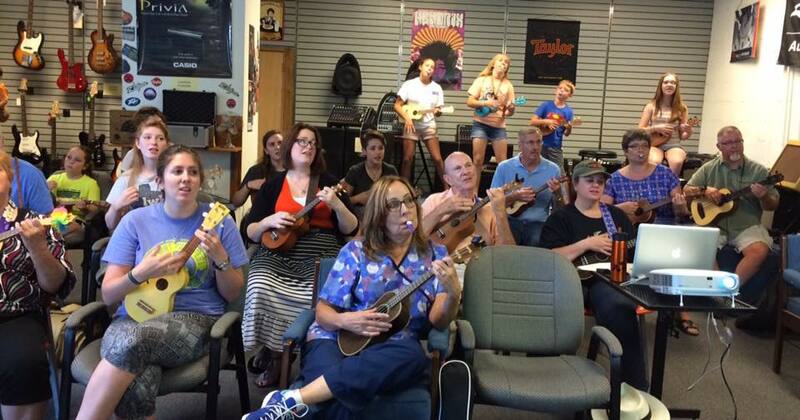 We are an informal and supportive group whose goal is to jam and learn and have fun! 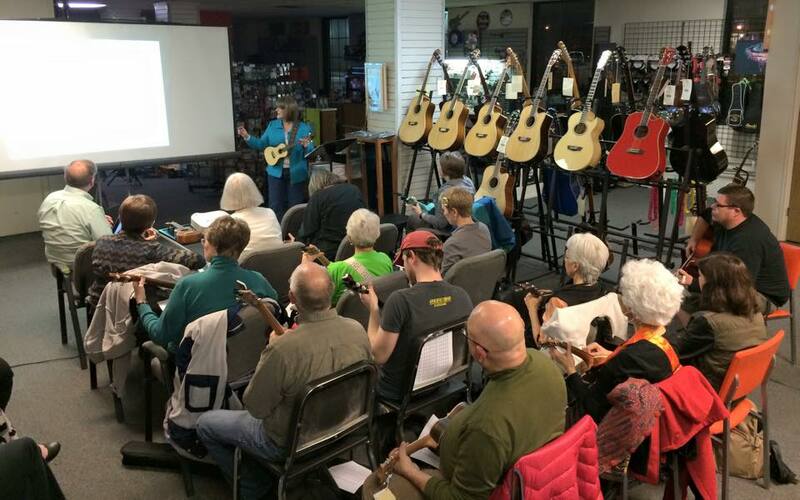 We usually meet the first and third Tuesdays of each month. 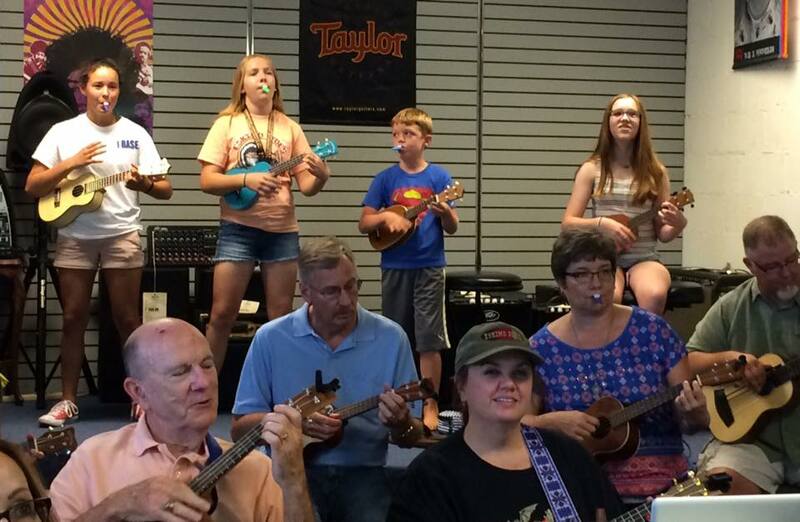 We learn new songs and jam with old songs. 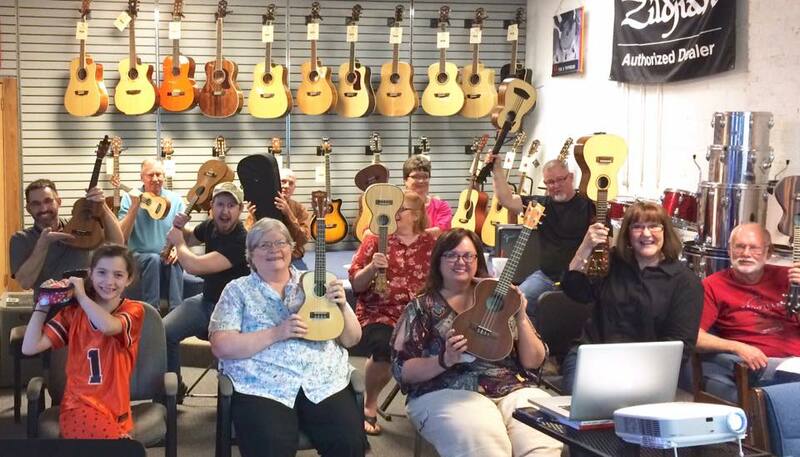 Our meetings provide a friendly and encouraging environment, whether you are just getting started or have been playing for years. 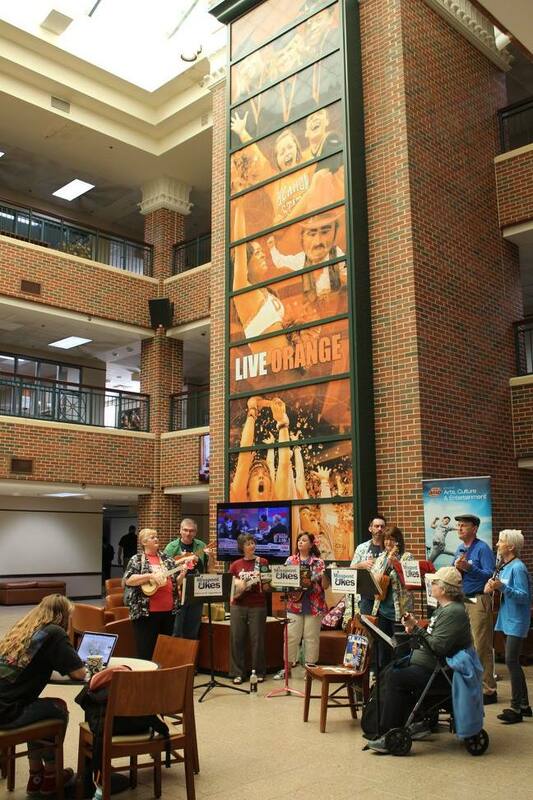 for a ukulele workshop in Stillwater on May 18! 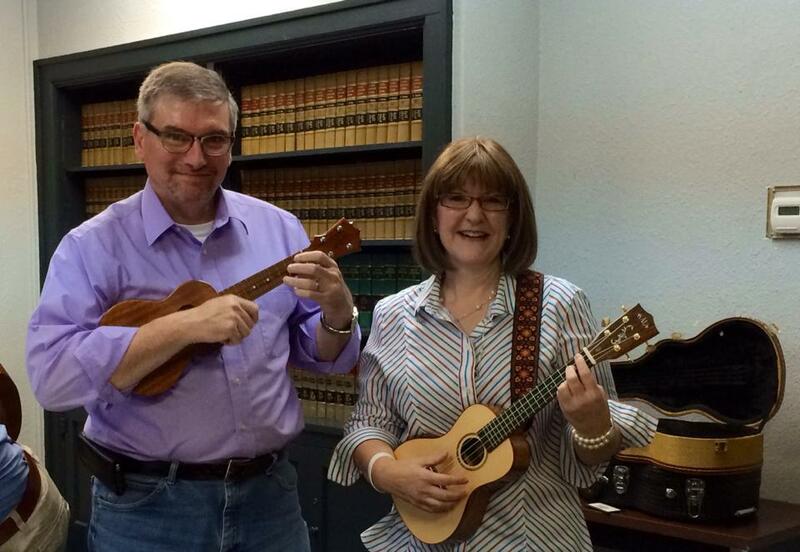 Public Ukuleles now on the air! 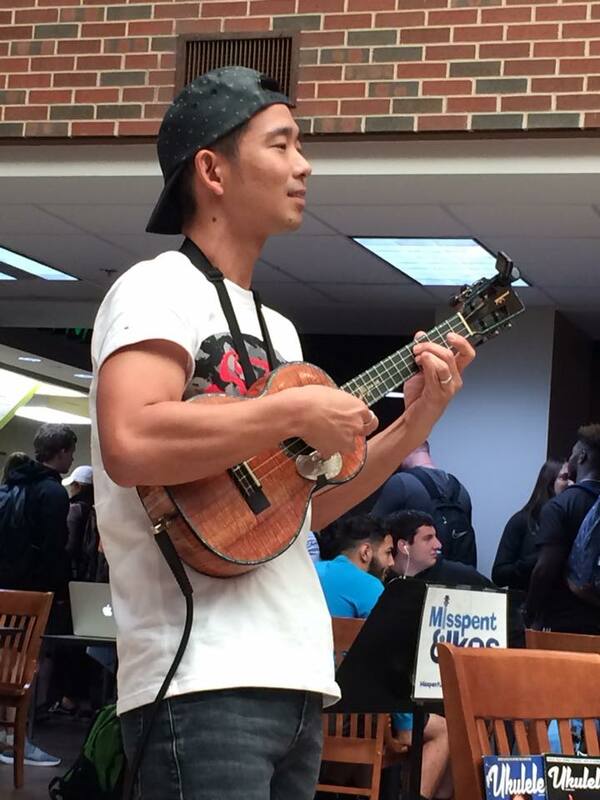 The SUA Public Ukuleles program is now up and running. 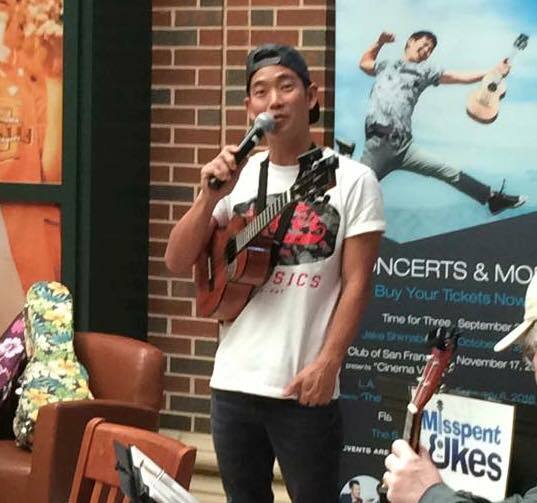 The first locations to get these ukuleles are Aspen Coffee at Fountain Square and Simplicity & Co. 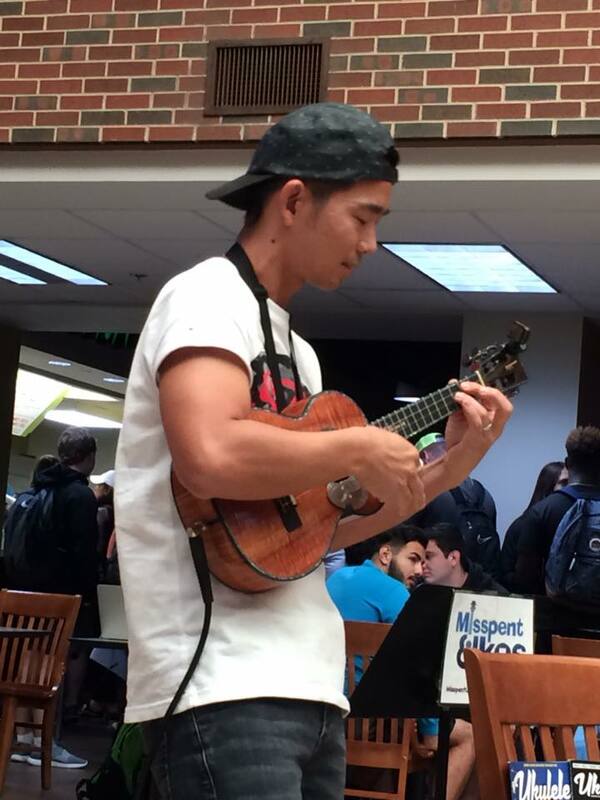 Tea House. 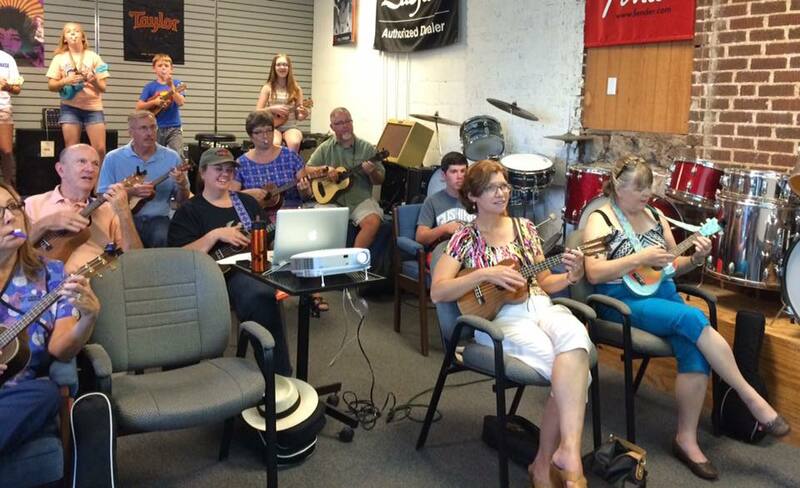 To learn more about the program, visit our Public Ukuleles page. 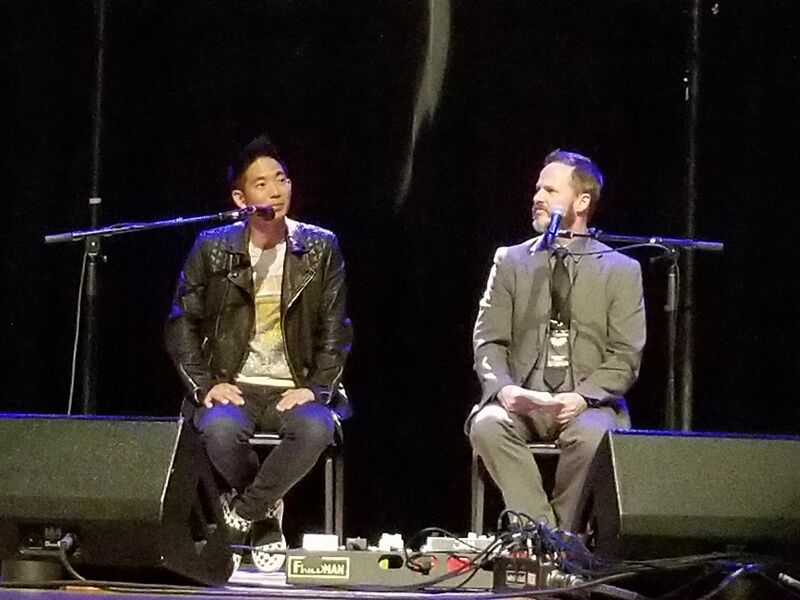 Click on the thumbnail to see the full-sized photo. 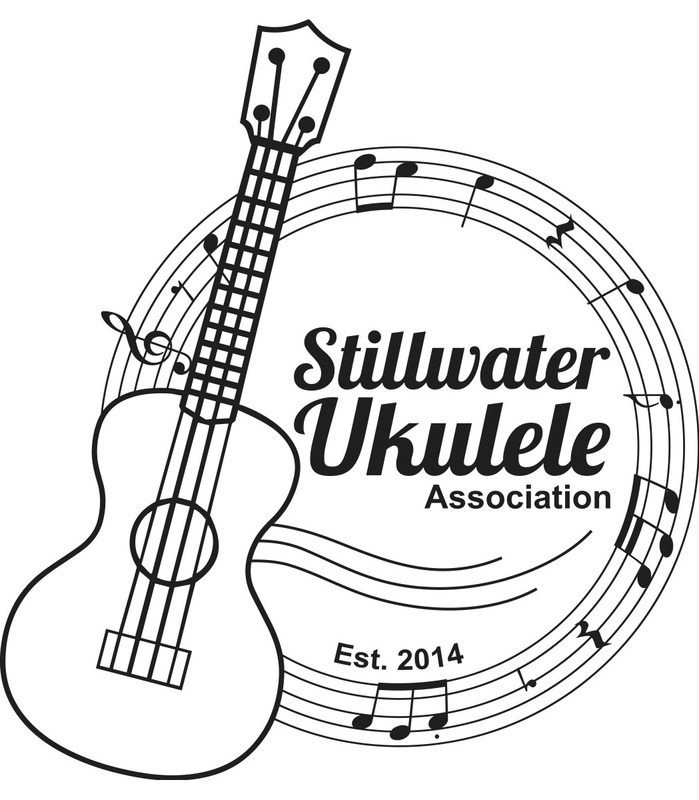 Like Stillwater Ukulele Association on Facebook to see photos from our recent meetings, find links to ukulele resources, and learn more about upcoming events. 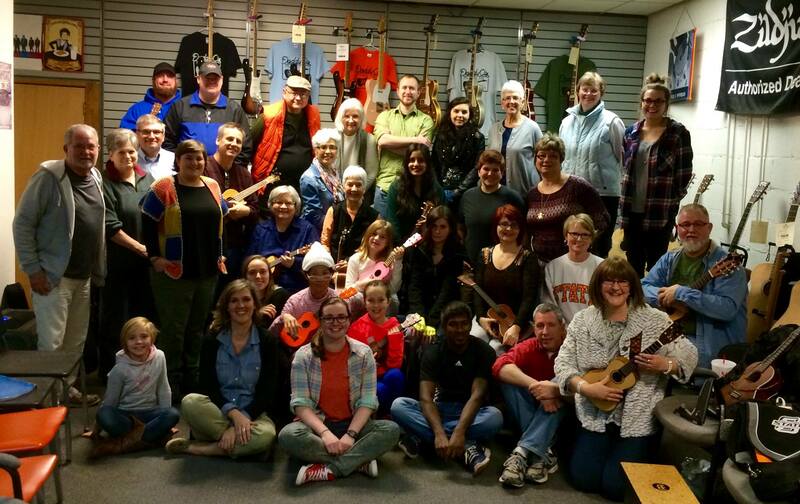 Download this flyer, print it out, and post it or share it with your friends. 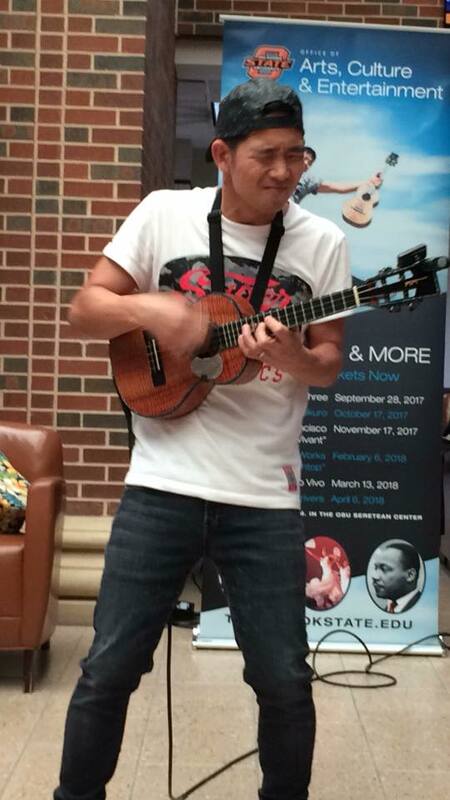 Click on any thumbnail to see the full-sized photo. 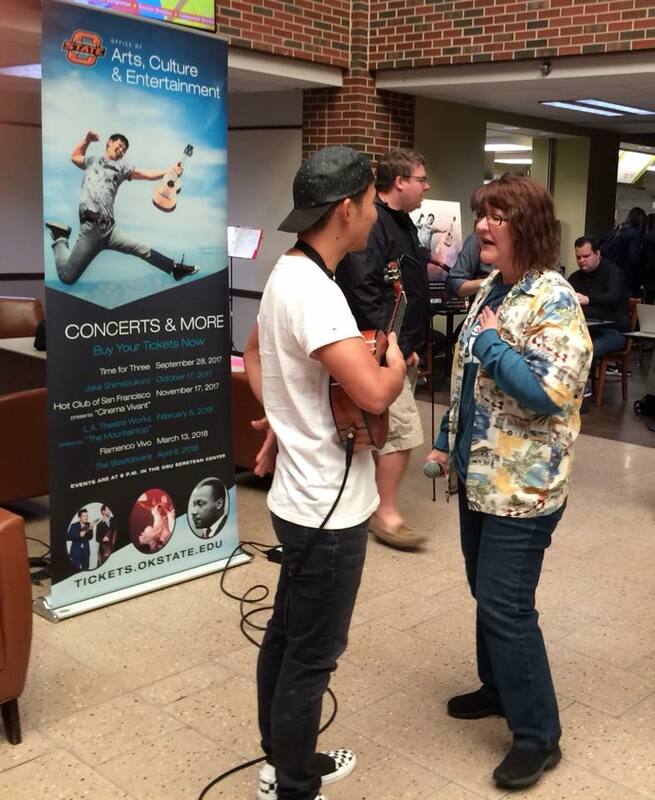 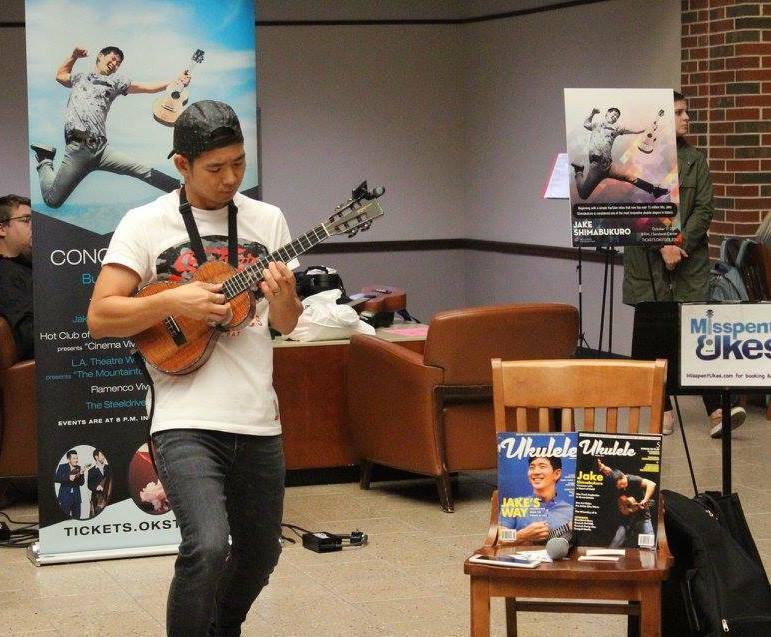 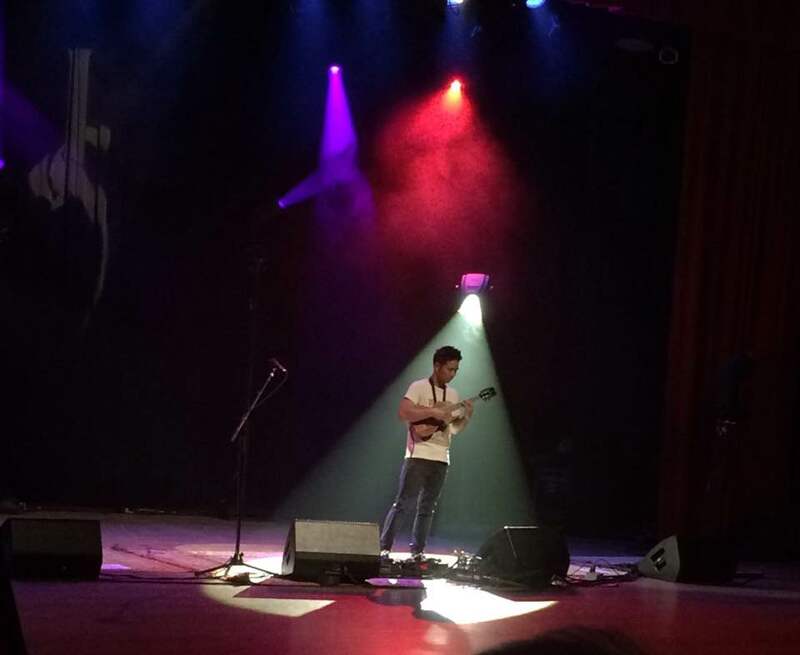 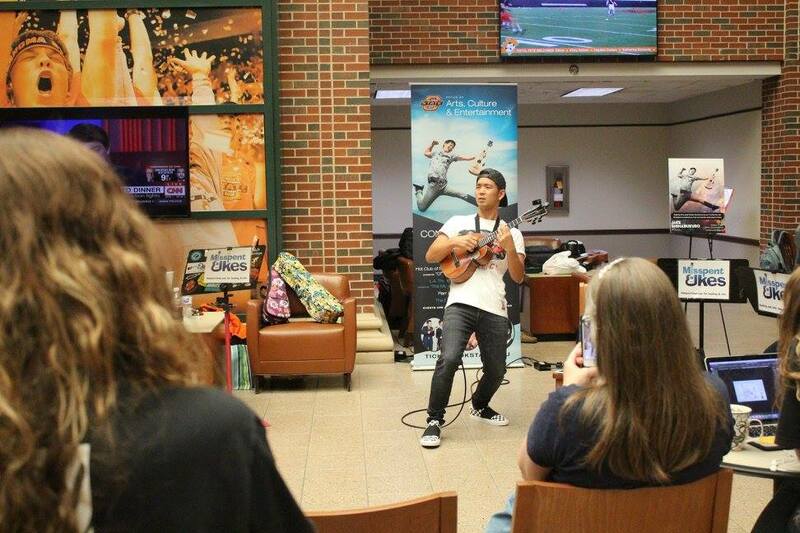 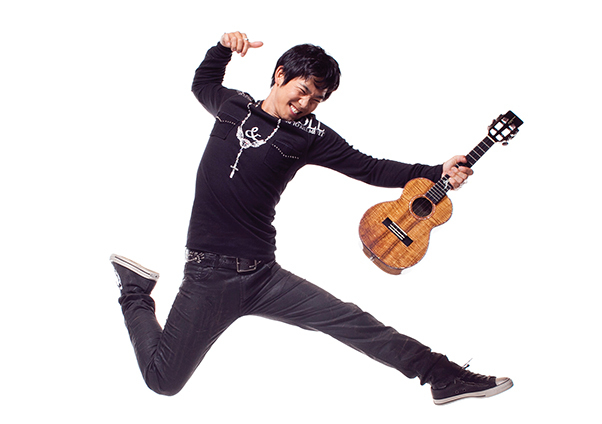 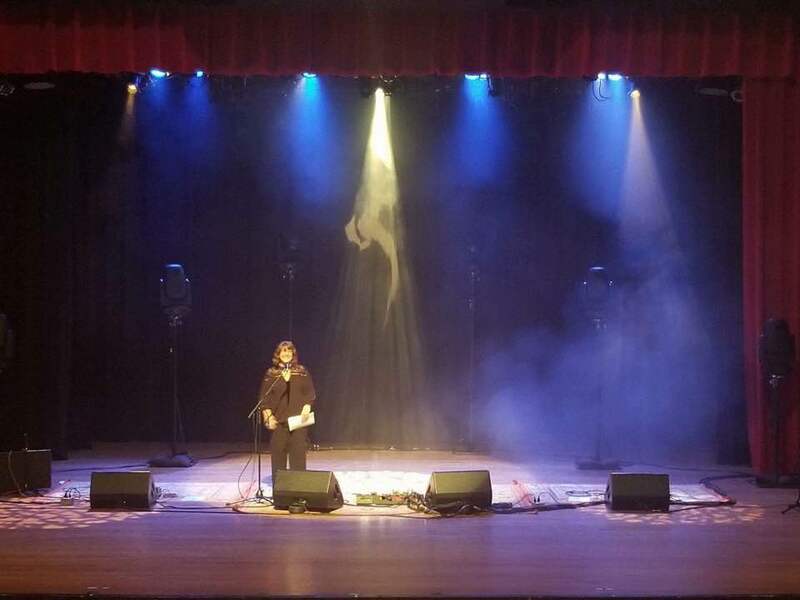 Thanks to all who participated in the events surrounding the Jake Shimabukuro concert! 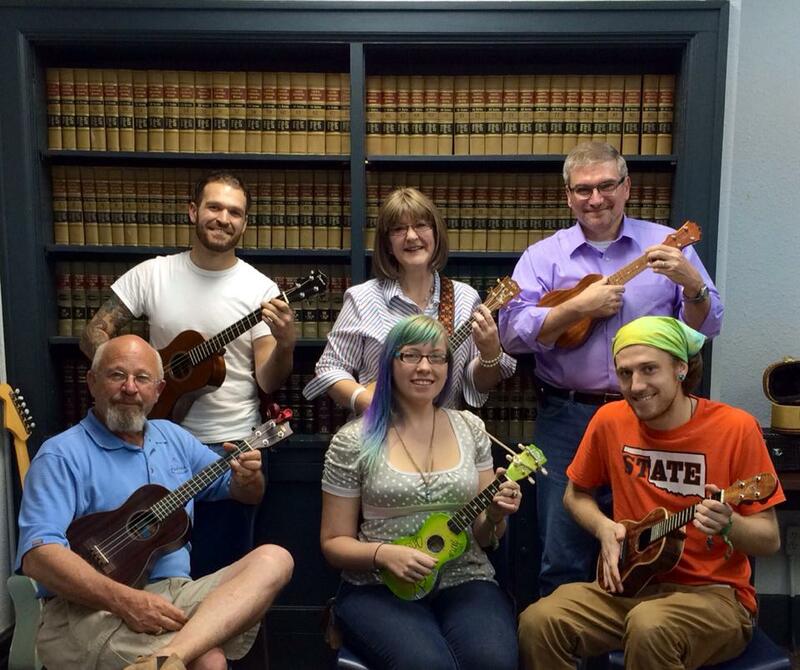 The Stillwater Ukulele Association was formed in mid-2014. 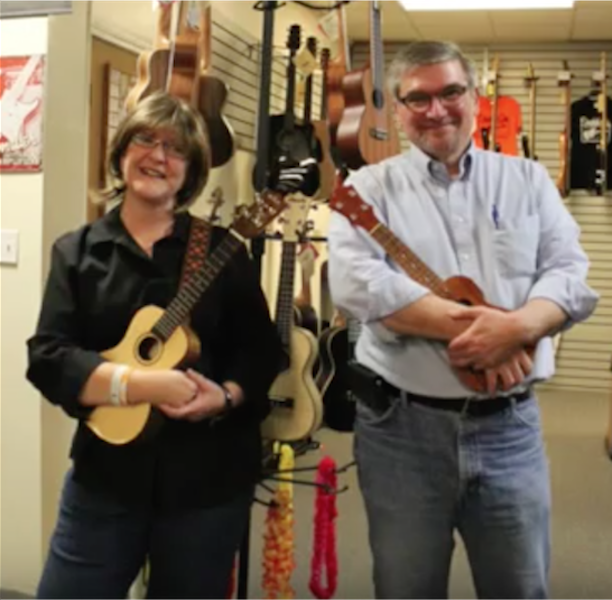 Daddy O's Music Co. - Daddy O's is known in Stillwater for its excellent service, selection of instruments and accessories, and great prices. 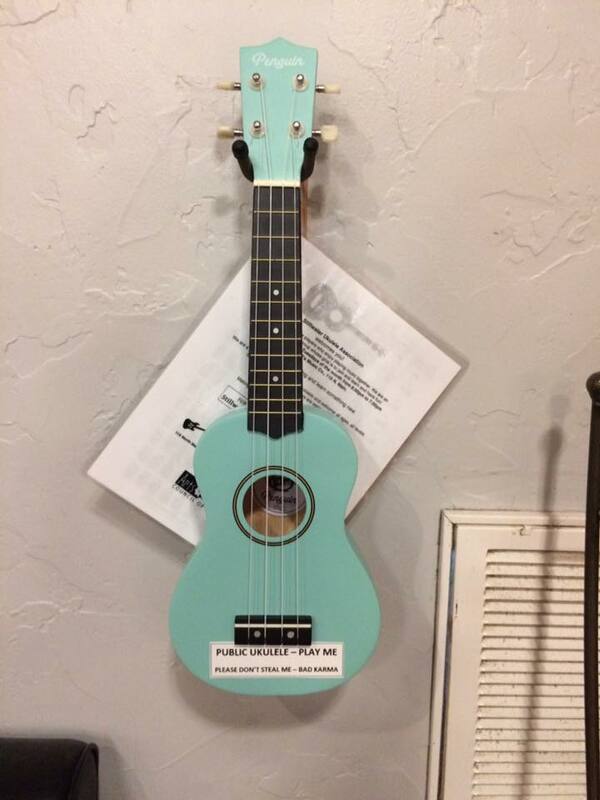 Stop in and tell Mike that SUA sent you!